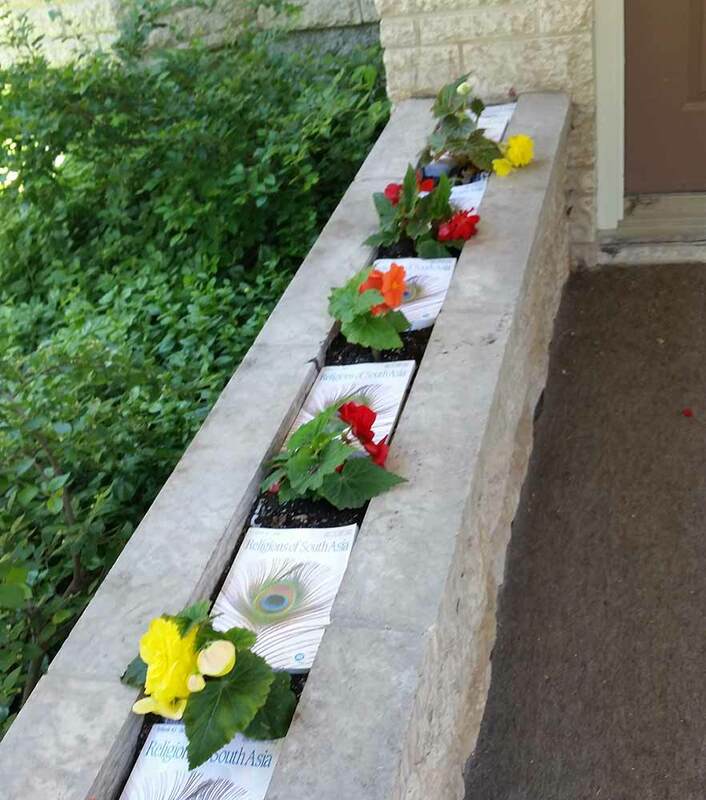 A Retired University Professor used his own published books as weed barrier in his annual flower planting bed. This is a "novel" way of preventing weeds. We generally don’t recommend the use of landscape fabric around trees and shrubs as it does reduce the amount of rain and water absorption by the soil. We have seen many landscape plantings with water deficits due to the use of landscape fabric. Typical symptoms are that of a plant experiencing a drought which results in slow growth, sparse foliage, and an increase in pest problems. We prefer to see a wood mulch used as a weed barrier without the use of fabric. Never use plastic as a weed barrier where plants are expected to grow. Books used as weed barrier.